Mention 'famous Chinese pianists' and the name that jumps to mind in this day and age would unarguably be Lang Lang, with his big eyes, wide smile, expressive performances and seemingly ubiquitious presence in headlines every now and then for being the UN Messenger of Peace to holding music camps for youngsters to collaborating with Jay Chou in an MV for Mr Chou's latest album. I attended Lang Lang Live with the Singapore Symphony Orchestra on 28 November and it was really a treat as he is one pianist for whom watching his facial expressions and hand gestures is every bit as entertaining as listening to his exquisite renditions on the keyboard. He was also very sweet to turn and wave to us when he walked off, not just once but many times as the audience would not let him get away without any encores. In the end, we were gifted with TWO encores, one of which was Chopin's Minute Waltz (played in less than a minute, I'm sure). It is obvious from watching him in all the concerts where he appears, whether as a soloist or as part of a group. He is also a very inclusive musician, always keen to work with other artistes in the non-classical world to promote classical music, something which Jay also strongly advocates and puts into practice by mashing up classical themes into his pop songs. As far as I can tell, Jay and Lang Lang first performed on the same stage at a concert in the Bird's Nest Stadium (Beijing) in 2009 with Song Zuying and Placido Domingo. They performed Auld Lang Syne, with Jay playing piano and singing. 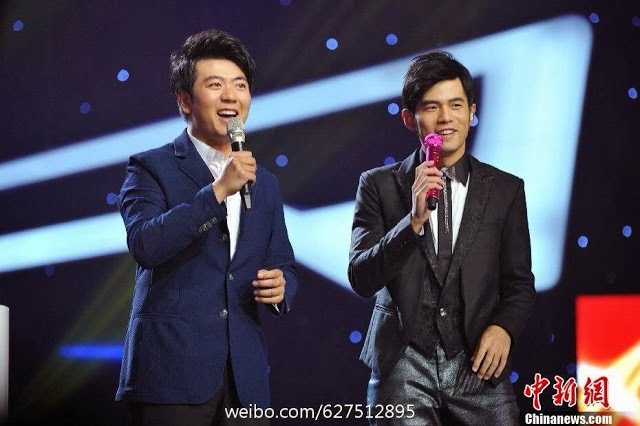 For their next collaboration, Lang Lang was featured in the MV for Jay's song, Dream, from his latest album, OPUS 12. Jay and Lang Lang having fun with some of the students at the event, where they each played an improvisation based on three random notes. Of course Lang Lang's virtuousic and flamboyant performance stole the show but I expect nothing less than that from a pianist of his standard. Jay's improvisation, on the other hand was soothing and pleasant to the max and both of them showcased their individual talents perfectly. At the recent Golden Horse Awards, Lang Lang played a medley of movie themes, one of which was the piano duet from Jay's self-directed and acted movie, Secret, a piece meant for four hands but our intrepid pianist managed it wonderfully in two! Two Kings, two different genres yet great collaboration all round. Lang Lang will be performing in Taipei on 17 December with the Taipei Symphony Orchestra. DIAOness Update: Jayannah goes shopping!